Those aspiring to start their own businesses here say many obstacles stand in their path, even though a 2012 Gallup/Silatech report identifies Qatar as one of the Gulf’s largest youth entrepreneurship hubs. The country is home to a plethora of organizations that aim to help entrepreneurs refine their business plans and give them some community recognition, including government-affiliated Enterprise Qatar. That group runs an annual competition to encourage young people to develop their startup ideas into something more financially viable. But to date, only one out of 18 winners of the Al Fikra Competition, which most recently held an awards ceremony last month, has officially registered her business in Qatar. That’s because there is no bridge between these types of competitions and the actual creation of a business here, Layla Al-Dorani, founder of vegan food supplier Raw ME, told Doha News. At last year’s Al Fikra competition, Al-Dorani’s business plan took second place and QR30,000. The young Qatari entrepreneur said she hoped she would get the chance to present her healthy fresh food idea to the Minister of Business and Trade and potential investors, but all she got was the chance to take a photo with the minister on her phone. And the prize money she got was too little to make a real dent in the high costs of starting up, Al-Dorani said. To register a company here, an entrepreneur must first have QR200,000 in a bank account. For expatratiates, they also have to have a Qatari sponsor who owns 51 percent of the company, and all businesses must have signed a one-year lease on office space that has met Civil Defense approval, easily a commitment of more than QR100,000. The Al Fikra competition needs to offer prize winners more help in registering businesses, not just cash, Al-Dorani said. Even with recognition and financial aid, she said it’s been a battle to keep Raw ME alive, having already burned through her savings. She also works two other jobs and may have to sell her apartment to raise additional cash, she said. EQ is starting to offer more support to businesses in the start-up phase. “Feasibility studies, advisory services on bookkeeping and accounting, audit services, business process improvement and reengineering and legal services are all available,” George Salem, a senior associate there, told Doha News, adding that 70 percent of these costs will be subsidized by his organization. But entrepreneurs who won this year’s Al Fikra competition or the previous ones don’t automatically qualify for this support – they must apply. Fundraising is not the only stumbling block entrepreneurs face. Qatar’s small market, holdups at customs and a treacherous amount of paperwork can also discourage potential business owners. “From a pure economic perspective, Qatar is just a very bad place to do business,” Abraham Kamarck, an American entrepreneur who ran into numerous difficulties while opening businesses here, told Doha News. Additionally, expats have their own unique challenges finding investors willing to take risks, he said. To raise enough funds, small and medium technology‐based enterprises have to rely on local investments, but Qatari investors are not used to these types of long-term ventures. “The idea of giving your money away and trusting someone else with it is very foreign here,” Kamarck said. Also, more than two-thirds of Qataris’ income is from salaries, interests and government transfers, according to 2011 Qatar Statistics Authority report. This means that there is little monetary incentive for Qataris to invest in businesses, Kamarck said. There are some institutions here that try to help with this problem, including the Bedaya Center, which aims to connect young entrepreneurs to partners in its network. 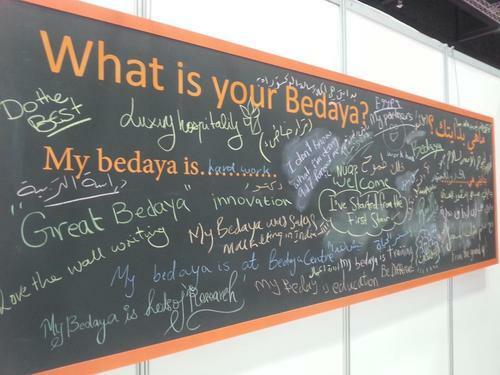 However, among the 1,500 people who came to seek information from Bedaya last year, only a handful successfully started a company, Yasmeen Hassan, the center’s entrepreneurship development manager, told Doha News. At first glance, the process to register a business in Qatar sounds easy, and it shouldn’t take long, Hassan said. But though most of the paperwork takes place on the ground floor of the Ministry of Business and Trade building, it took Bedaya Center some 10 months to get its own approval. Since January, the Ministry of Business and Trade, together with other governmental organizations, have been working on a new Commercial Company Law to ease the process of establishing businesses and encouraging investments in Qatar. However, changes in the draft law haven’t addressed the issues of fundraising and registration that arise from the local business culture, according to entrepreneurs. One big change in the draft law is the removal of the QR 200,000 initial fund requirement to start limited liability companies. The absence of the requirement doesn’t necessarily make it cheaper for entrepreneurs to start a business, though. New companies still need to prove sufficient funding is available, according to article 235 of the draft. The new law also aims to simplify the process of obtaining business licenses. A “one stop shop” system would be established in the country so entrepreneurs can get all the paperwork done at one place in one day instead of going to different ministries, according to Alaa Hamdi, an auditor at the Ministry of Business and Trade. No date and location of the new registration center have yet been announced. 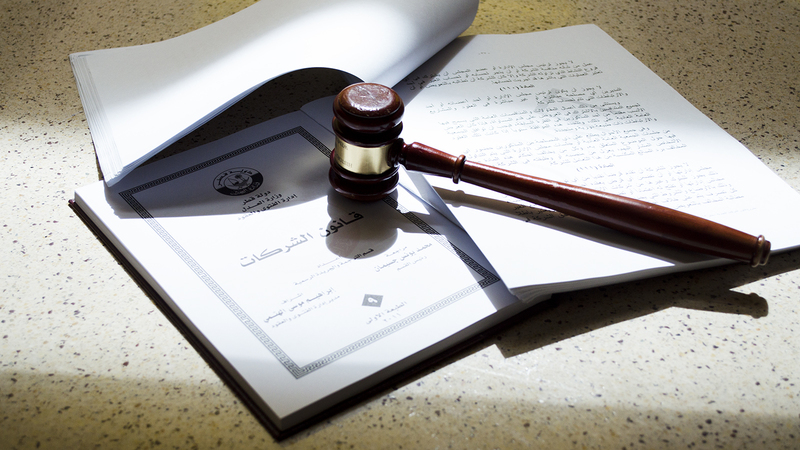 Finally, the draft law also seeks to clarify some clauses in the current law, which has been around since 2002. Over the years, businessmen and lawyers alike have found the language difficult to interpret, Hamdi said. The new version is supposed to standardize jargon and be less vague. “It sounds like perfect limited liability on [paper], but there are uncertainties in the laws that could still bring personal assets at risk. In debt situations, business owners are exposed and their personal assets could be affected,” Kamarck said. Have you thought about starting a business in Qatar? Thoughts?